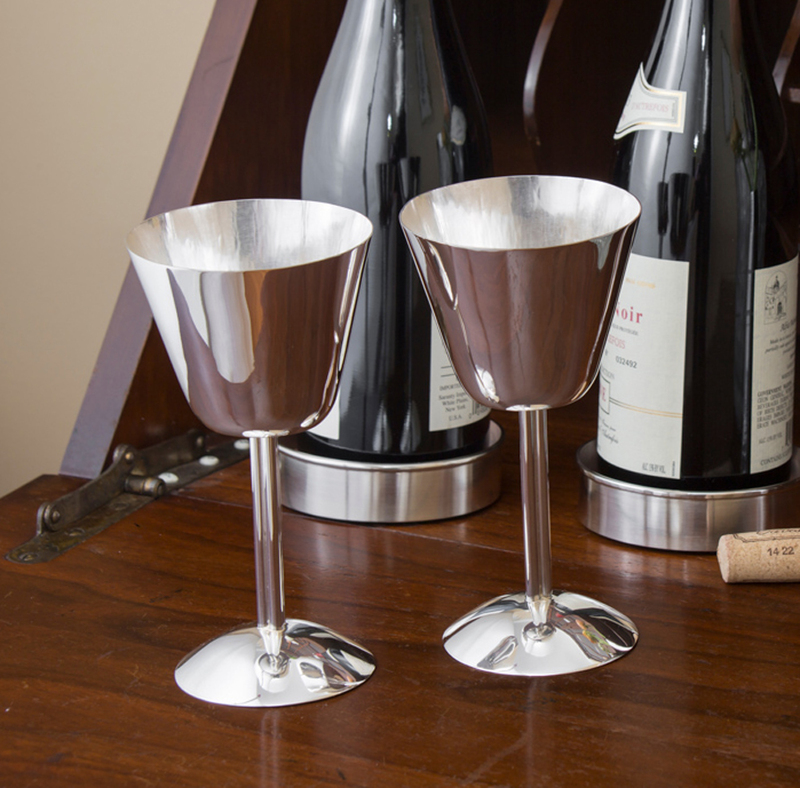 This contemporary silver wine coaster can accommodate standard white and red bottles. 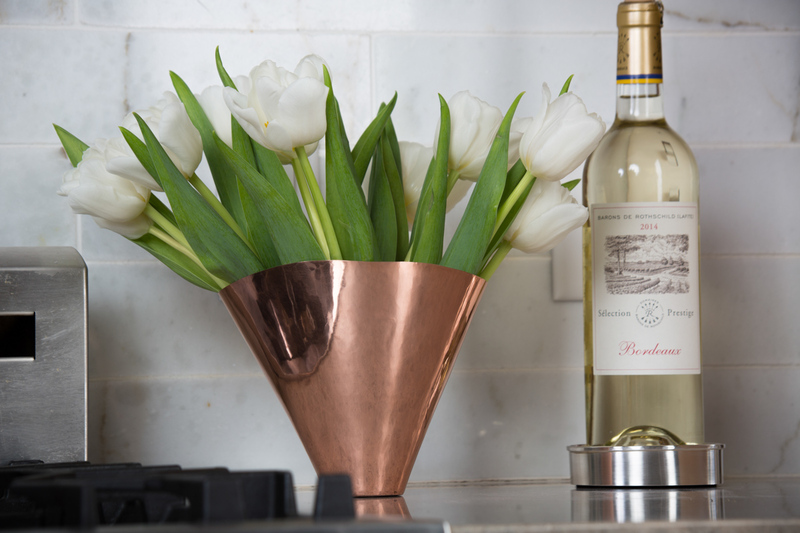 It has a smooth, round lip around the top that creates a rich edge. The walnut wood base absorbs moisture and has a felt pad on the bottom, so it does not scratch surfaces. 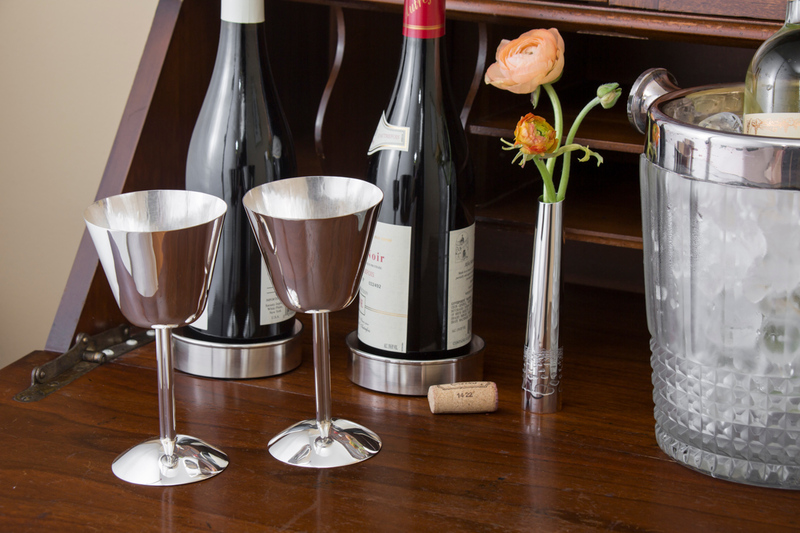 This silver wine coaster is the perfect gift for anyone who enjoys wine and likes to entertain!